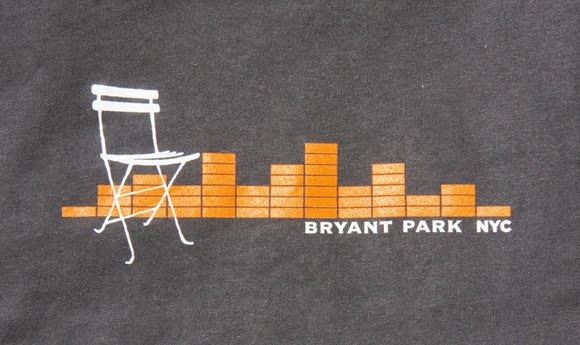 Bryant Park Blog: On Sale: Bryant Park's Musical Chairs T-Shirts! 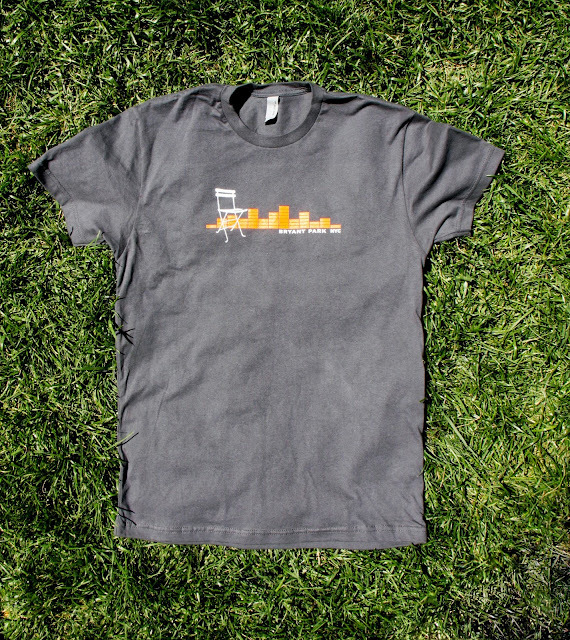 On Sale: Bryant Park's Musical Chairs T-Shirts! 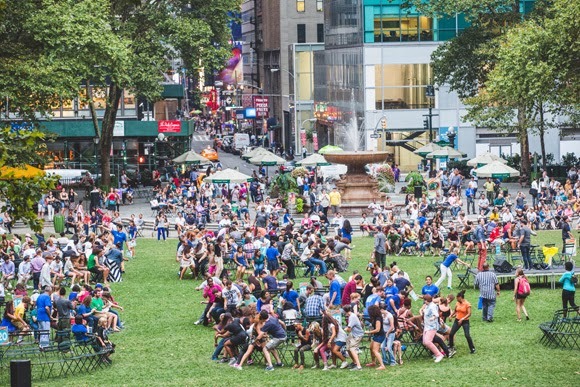 At our annual Musical Chairs in Bryant Park event, we give T-Shirts to most of our chair-wrangling participants, and now it's your chance to get one of your own! Until 5pm next Wednesday, our Musical Chairs tee is on sale for $7 and $10 (regularly $18). We've got overstock in larges and extra-larges in the grey, so those sizes (in grey only) are just $7. Our Musical Chairs T-Shirt is from Next Level and is available in unisex sizes. If you have any questions about sizing email us at bpshop(at)urbanmgt.com, because everyone on staff has worn this T-Shirt. Next year, we hope to see you in the park playing along at our Third Annual Musical Chairs event!